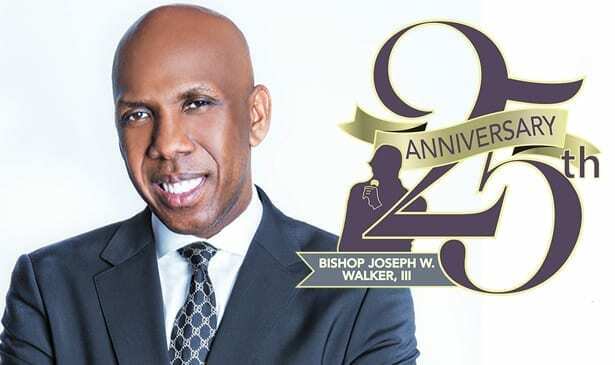 NASHVILLE, TN — Bishop Joseph Walker III has forged a memorable 25-year legacy of ministry and activism that has had profound positive effects on the entire city of Nashville, most notably the North Nashville community. The move to honor him by naming an overpass bridge on Jefferson Street, right in the heart of the area where he’s had his greatest impact, is only right and fitting. His current duties including being International Presiding Bishop in the Full Gospel Baptist Church Fellowship, International. He was chosen to succeed International Presiding Bishop Paul S. Morton in 2015. But that was just the latest honor in a career that has seen him earn a BA from Southern University, a Master of Divinity from Vanderbilt, a Doctor of Ministry from Princeton Theological Seminary, plus honorary doctorates from Meharry Medical College and Southern University. However, Bishop Walker hasn’t just contributed through the ministry. He is also active on a number of boards, among them the Tennessee State University Board of Directors, Meharry Medical College, American Red Cross, and Citizens Bank. His lengthy list of significant accomplishments include creating the New Level Community Development Corporation. This is an organization that benefits low and moderate income families, and enables them to experience the joys of being homeowners, as well as the benefits of education courses that teach them fiscal stability, and put them on the path to a more successful life. The Corporation has given more than 2000 free backpacks with school supplies to community residents. Each year they assemble one of Nashville’s largest gatherings of health care professionals to provide health screenings for various illnesses and diseases, as well as provide valuable medical information and details. Education has always been a major part of Bishop Walker’s agenda. He and his wife founded the Drs. Joseph and Stephanie Walker Scholarship Fund to help young adults achieve their dreams. Each year Bishop Walker’s college ministry weekly brings together students from eight colleges and multiple high schools to the campus of Tennessee State University for fellowship and meals. His TSU Worship Services have filled the Gentry Center for many years.. After the controversial shooting death of Michael Brown and the unrest that followed in Ferguson, Missouri during 2014, Bishop Walker was part of a movement to bring the city together via a town hall meeting. This event brought folks from various backgrounds together to discuss racially sensitive issues with key community leaders. The program “Nashville Unites” emerged from this event and movement. It is the only city-wide community collaborative program designed to address social and judicial inequities affecting all of Nashville, not just the Black community. Bishop Joseph Walker III has proven himself a moral and social leader the equal of any in this nation, and he’s not finished helping improve the quality of life for many throughout this city.